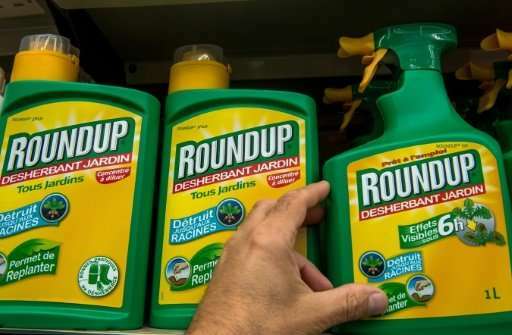 Members of the European Parliament called Wednesday for the establishment of a panel to probe claims that US agro giant Monsanto unduly influenced research into its weedkiller's safety. The call comes as the European Union intensifies debate over whether Brussels should renew in December the license for the weedkiller glyphosate for another 10 years. EU states have been deadlocked for more than a year over whether to declare that the chemical—used in Monsanto's best-selling herbicide Roundup—is safe. "We have arrived at the conclusion that the creation of a commission of enquiry is needed," socialist deputies Eric Andrieu of France and Marc Tarabella of Belgium said in a joint statement in Brussels. They said there were too many questions about safety that needed to be answered. Michele Rivasi, a member of the Greens Party, made a similar proposal. The parliament can investigate whether EU law has been breached or set up a committee on a specific problem such as the one probing emissions cheating by German-based auto giant Volkswagen. The call for a probe came during a parliamentary hearing into allegations Monsanto influenced scientific research on glyphosate safety. Monsanto had turned down the parliament's invitation to Wednesday's hearing, prompting the assembly to deny access to the firm's executives and lobbyists. The European Commission has proposed that glyphosate's licence should be renewed for another 10 years in December, on the grounds of a report by the bloc's food safety agency saying it does not cause cancer. Monsanto maintains glyphosate "meets or exceeds all requirements for full renewal under European law and regulation" and charged the renewal procedure has in "many respects been hijacked by populism."